Please note ALL orders ship after February 25, 2019 when we return from Quilt Con. Thank you! Printing your own fabric opens up an entire new world of design, especially for quilters, sewists, and other textile artists. Until now, the process of printing with dyes could seem difficult to learn and even harder to implement. 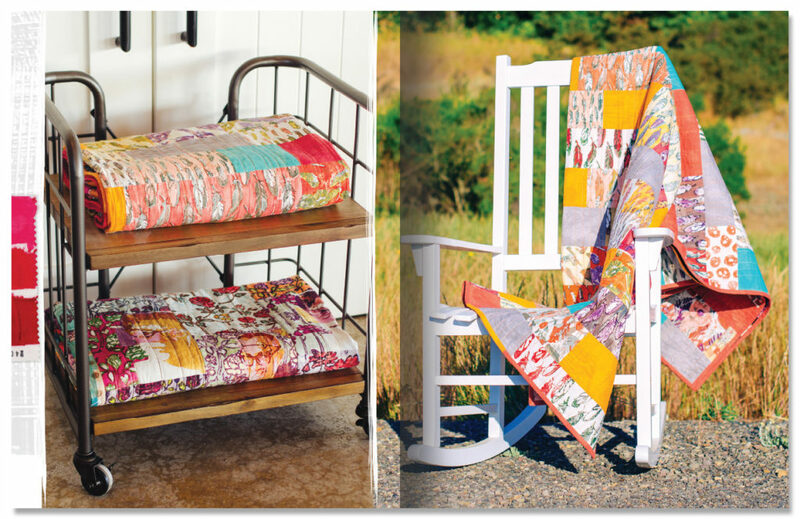 But world-renowned quilting and surface design artists Carol Soderlund and Melanie Testa have taken all the stumbling blocks out of the way of would-be fabric dyers and printers. 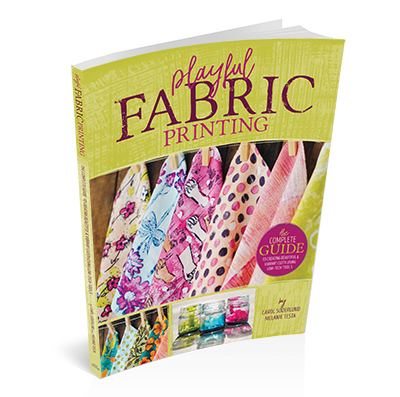 This 144-page, full-color book is packed with the information you need to easily start printing your own fabrics. Please email info@craftingalifellc.com for terms and conditions. 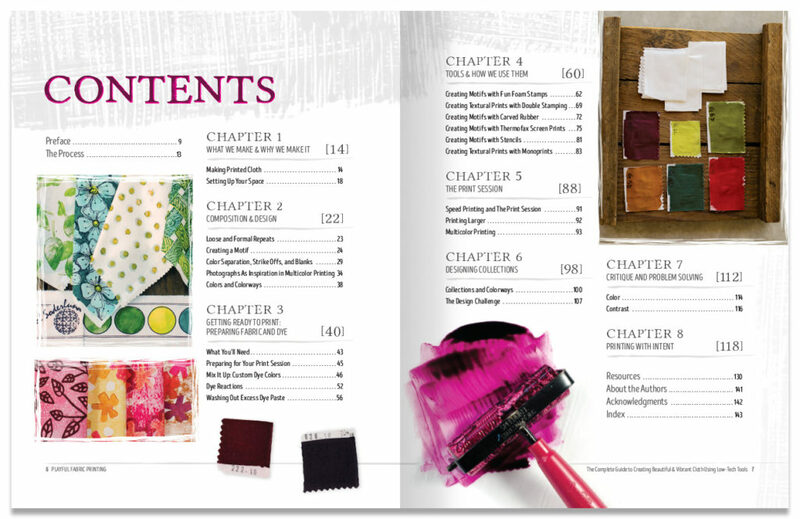 With step by step advice, instruction, and photographs, this book is a master class in using dyes and low-tech equipment to print your own fabric, and it begins at the beginning. If you’ve never handled dyes before, never designed your own print motifs, aren’t even sure what supplies or space you might need, everything you want to know is here. More advanced students will value the in-depth presentation of techniques, tools, and insights into approaching fabric printing as an art and taking your work to the next level. 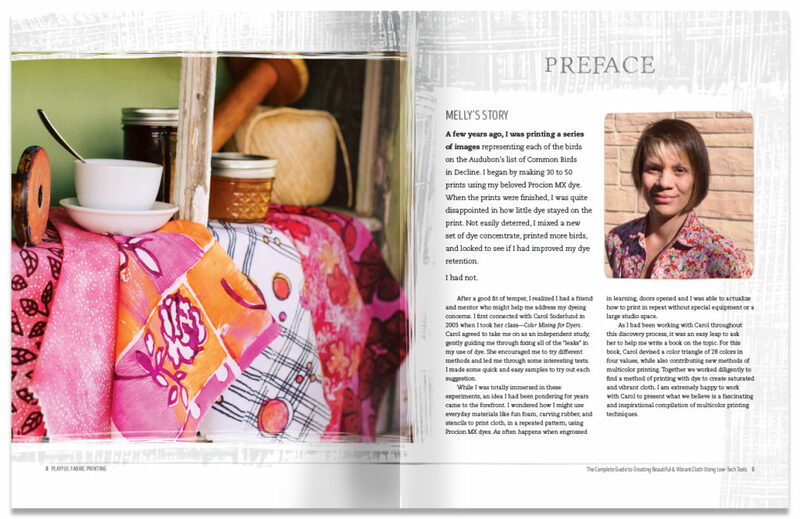 Melanie Testa learned to love fabric and sewing at a young age while sitting at her grandma’s trusty Singer, and has been reimagining her everyday experiences through artful construction ever since. She is an accomplished textile and quilt artist. 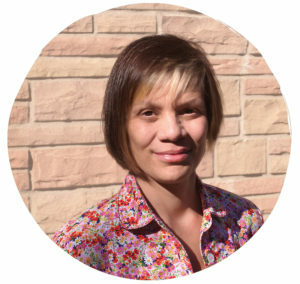 She holds a degree from the Fashion Institute of Technology in Textile/Surface Design and exhibits her fiber art at various galleries and quilt shows around the country. 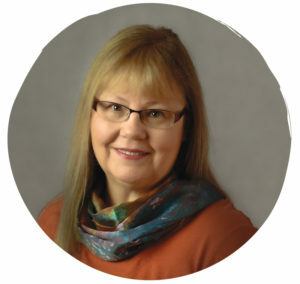 She is the author of Dreaming from the Journal Page, Transforming the Sketchbook to Art by North Light Press and Inspired To Quilt, Creative Experiments in Art Quilt Imagery by Interweave Press and also authored a Quilting Arts Workshop called Print, Collage, Quilt. Carol Soderlund is an artist and educator who has been studying and playing with color and dyes for 25 years. Her curiosity about the range and variety of colors that could be developed from three primary dyes led to her creation of her Color Mixing system for dyers, the intersection of three dimensional color theory with the reality of Procion MX dyes. Carol encourages the freedom of mixing color by eye with results-based samples, which can also be used to reproduce color for those so inclined. 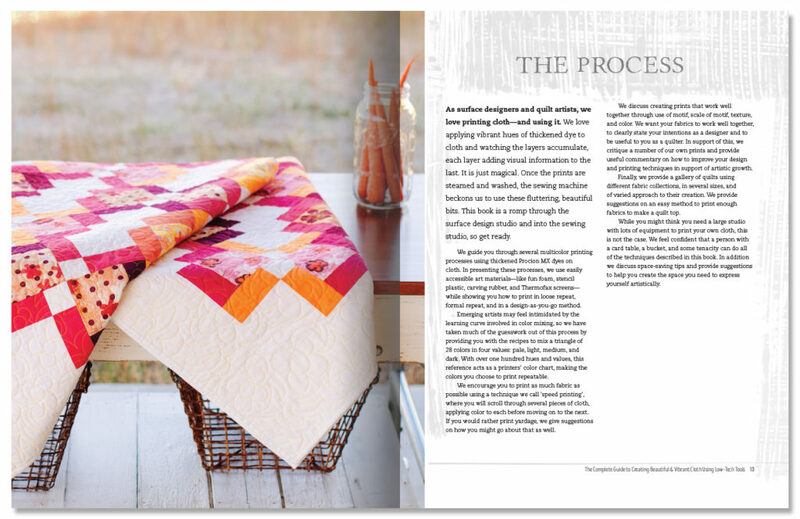 She has authored articles in Quilting Arts, American Quilter, and Quilter’s World magazines. Carol has shown her quilts in juried venues across the country, winning awards which included Best of Show at the International Quilt Festival in Houston, Texas. 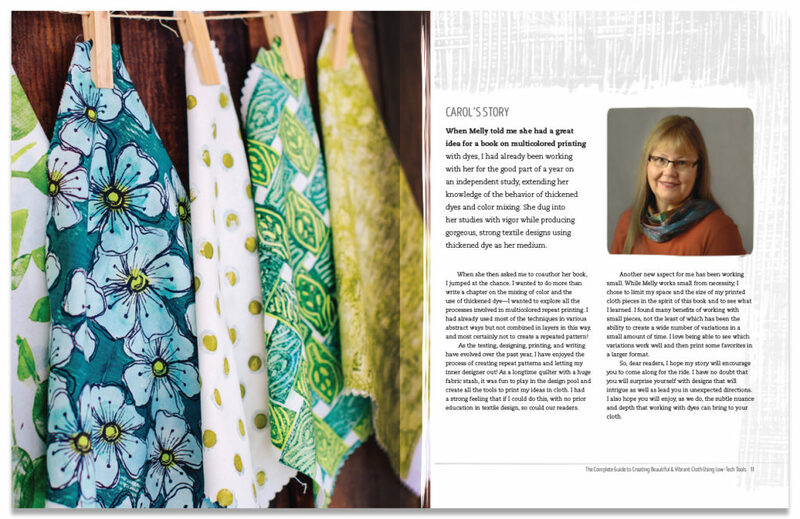 The opportunities for fun creative expression and producing your most original and exciting fabric work ever are unlimited with Carol and Melanie’s friendly help. It’s time to try playful fabric printing!